BTDL would like to introduce Katrina a.k.a. augustus60! Katrina graduated from Law School some years ago, although she doesn't currently practice. She has a wonderful family and two very nice dogs. She is an "army wife" to a deployed soldier 2005-2006, but her hubby, thankfully, is home safe and sound at present. 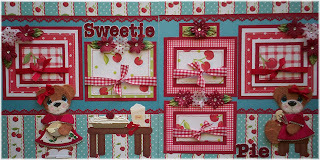 Katrina has been creating paper piecing artwork for many, many years and is an avid scrapbooking fan. She only realized recently – and with great excitement - that there is a market on ebay for this type of artwork. She creates paper piecings using lots of original artwork (drawn and painted) among the high quality scrapbooking papers she use exclusively. She also incorporates her own small, completely original sculptured flat back pieces as embellishments, and she is in the process of creating a line of resin "flat backs" from her own sculptures. Katrina has been sculpting dolls and miniatures in polymer clay for years, and she's taught polymer clay, portrait and figure sculpting to novices and very well known sculptors alike. She is very proud that her original sculptures have been displayed in fine homes, galleries and publications worldwide. She is also an excellent drawer, mostly fairy and mermaid illustrations, with a painting or two once in a while. Katrina says, "I love ebay because it has given me and many others a forum for the artworks we create!" Welcome Katrina, we are so HAPPY to have you on board! Check out Katrina's work here! Whether it is an entire wing of your house with built in shelves or a humble yet lovely laundry basket you tote your paper and scissors in, scrap space is precious real estate. I used to claim squatters rights to the kitchen island for my scrapping, and have since taken over the fourth bedroom in our house as my studio. Ok, and I still will camp out on the kitchen island to scrap, even though I have an entire room devoted to my favorite hobby. 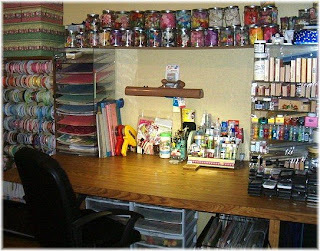 But I love having my space, a place where I can spread out my pretty paper and supplies, listen to music I like, and cut and paste to my heart's content. I have been cleaning and reorganizing my scraproom for the last week, so I can't show you pictures of my room yet (it is almost done! I will take pictures the second it is perfectly clean, because I know that it won't stay that way long!) but I do have some photos of other BTDL members' scrap spaces to share. And speaking of ribbons - I think Michelle has the most perfect ribbon holder ever. 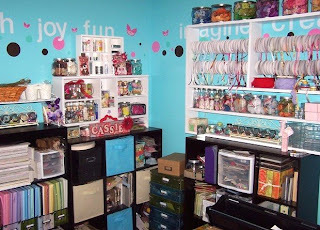 My favorite part of her scrap space? The inspirational words on the wall. Love it! Michelle also has a beautiful view of her pond from her window. Of course, with all the wonderful papers and pretties in her room, the wonderful view has some competition. I got off early and am looking forward to having four days off. My husband is fixing supper and I plan to just veg out this evening. I want to crochet some new lightweight flowers to list and maybe make another paper bag album or three. I just can't wait to wake up in my bed in the morning. Mind you, I woke up in my bed this morning, but much earlier than I wanted to. Have you checked out the BTDL auctions? These girls have some awesome things listed. I hope to join them soon. I'm off to ensconce myself on the sofa in front of the TV with the new thread that came today, and my magnifying glass and energy drink and start crocheting. Be watching for a new auction with some dainty crocheted flowers. It took me forever to get here and I'm not even sure if I'm here......well, yes, I know I'm here, but I'm not sure where here is. Hopefully, I'm at the Better Than Doing Laundry blog. Anyway, that's where I intended to be when I started wandering around in cyber space. So what's going on with everybody? I finally had a day off, and managed to list three items in my auctions. That doesn't sound like I did much, but for me it's huge. Just getting out of bed is a major accomplishment, although that seems to be the case more when I have to go to work. We are excited to announce that we have added two new members, Augustus60 and Crafty_pieces. Be sure and check out their auctions, they both have some really special items. BTDL is just thrilled to announce the addition of our newest member... Stephanie!! She sells on ebay under the ID steph_1999. Stepanie is a very busy lady. In addition to participating in ebay and selling her beautiful scrapbook pages, she is a busy mom to three young children. She makes such cute little bears and has an eye for color. Here are just a couple of her pages (my favorites). I couldn't resist showing the close up of the little bear, isn't she sweet? You can see more of Stephanie's work by clicking on the title of this thread, or by searching BTDL on ebay. Also, check our webstore www.btdldesigns.com as Steph will be adding her wonderful designs to the store as time permits. Welcome Stephanie, we are so glad to have you! BTDL is the acronym for our design group, Better Than Doing Laundry. What do we design? Scrapbooks, paper piecings, and other altered art. 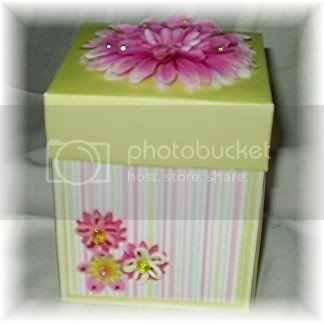 Passionate about all things scrapbook, we "met" through Ebay and created a design team in 2006. Soon this design team developed into a family a family of sister scrappers who support and critique, encourage and inspire. Passionate memory keepers and artists, we challenge and support each other. As a result, we have built a reputation for creating unique scrapbook and paper art. Our close-knit team remains small with around 15 members, but our dreams and ambitions are big! We recently opened an online boutique, and you can still find our work on eBay. Late at night burns a little light in the corner of my studio. It is there that you will find me drawing, cutting, shading and gluing as though there is no tomorrow. If you are like me, the hours seem like minutes when those scissors or chalks are in hand. I love this art! I also love to make people smile; I hope that selling my pieces will make that person smile when they see it as an accent to the fun cherished photos in their scrapbooks. doggies, three tortoises, and a pond with twenty-two koi in it. And I can’t forget my hubby, Randy, who is the backbone of this family. They are all what keeps me up and running. giving me this opportunity to share my art with you and with this very talented group.